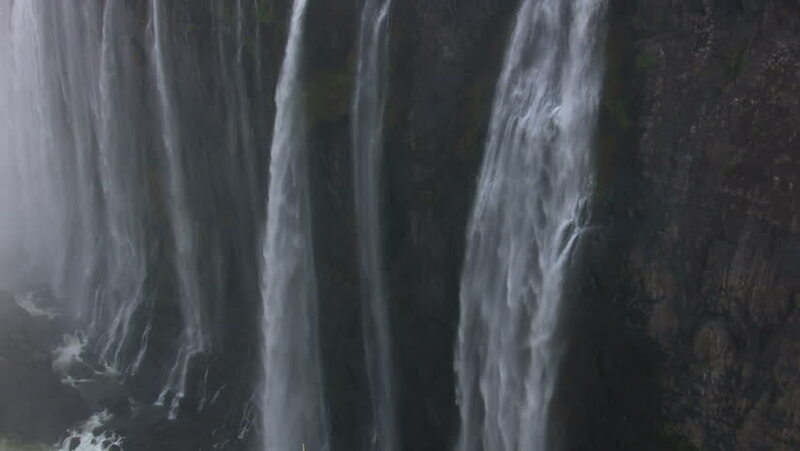 hd00:23A serene scenic view of a massive waterfall: detail. hd00:20Iguazu Falls showing the big water flow, brazilian side. Foz do Iguacu, Brazil.